X, 281 p., 6 ill., 18,2 x 25,4 cm. Edited by Christopher Arnold and Andreas Zierl. 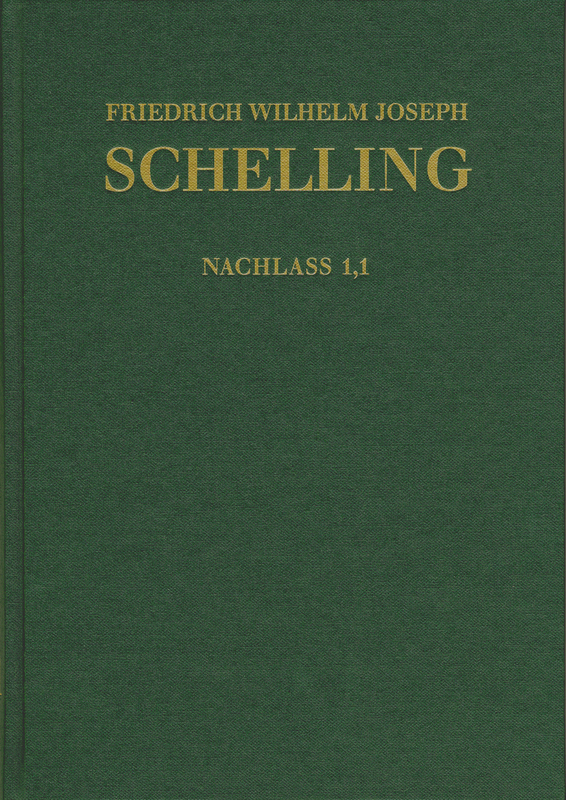 For the first time, this volume provides access to Schelling’s earliest works, written during his schooldays in Bebenhausen, in a historical-critical edition. This includes the ›Oratio canicularis‹ (Hundstagrede - Dog Days Speech), held at the completion of school, in which he spoke about the usefulness of classical languages. Some of the texts can be traced back to Joseph Friedrich Schelling’s classes which he had been giving as a professor at the monastery school in Bebenhausen since 1777. The interpretation of the Psalms which evolved from this documents the beginnings of Schelling’s preoccupation with biblical hermeneutics and exegetics. In addition to this work, the volume contains two Latin poems, written in hexameter, as well as the text fragment »Geschichte des Klosters Bebenhausen« (A History of the Bebenhausen Monastery) as well as interpretations of ancient Greek authors such as Isocrates and Pindar.